For months, we’ve been debating whether special counsel Robert Mueller will or will not subpoena President Donald Trump to testify before the grand jury. This debate has intensified recently given the fact that one of the president’s attorneys, Rudolph Giuliani, all but announced that the president will not submit to a voluntary interview. One might ask, why doesn’t Mueller just subpoena the president to force him to tell the grand jury his side of the story on a variety of topics, including why he fired former FBI Director James Comey and why he participated in drafting an inaccurate narrative about the Trump Tower meeting between members of his campaign and Russian representatives. 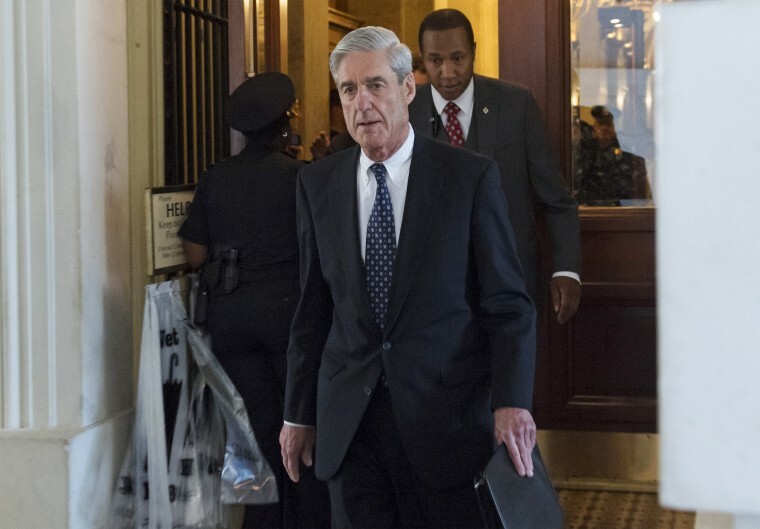 My 30 years of experience as a federal prosecutor tell me that there are at least three possible reasons why Mueller may decide to forgo a presidential grand jury subpoena altogether. One might ask, why doesn’t Mueller just subpoena the president to force him to tell the grand jury his side of the story? First, Mueller may have gathered so much evidence that he can reach informed conclusions about how to proceed without securing the president’s testimony. Given that prosecutors invariably take a “more is more” approach to developing evidence, I think this possibility is less than likely. Second, given that the president’s lawyers have argued (incorrectly, in my opinion) that a sitting president cannot be subpoenaed to the grand jury, it may be that Mueller wants to avoid the protracted litigation that would erupt concerning the legality/enforceability of such a subpoena. Although this is a distinct possibility, I strongly suspect that Mueller is prepared to take as much time as needed to conduct a full investigation. Accordingly, the delay occasioned by having to fight a legal battle over a presidential grand jury subpoena is probably not driving his decisions. Prosecutors have wide latitude regarding whom to subpoena. It’s important to keep in mind that a grand jury subpoena is a court order directing that the witness appear and testify. Once subpoenaed, the witness must appear and provide testimony, unless the witness has a legitimate legal privilege that would trump the requirement to testify. For example, if a witness is a doctor who was subpoenaed to give testimony about something her patient told her in furtherance of medical treatment, the doctor/witness could refuse to testify by invoking doctor-patient privilege. Other legally recognized privileges include clergy-penitent, marital privilege and the Fifth Amendment privilege against self-incrimination. The U.S. Attorney’s Manual defines a target as a person whom the prosecutor has “substantial evidence linking him/her to a crime” and who the prosecutor “deems is a putative defendant.” In laymen’s terms, this means a target is someone the prosecutor intends to indict. But a guiding principle of grand jury practice is that prosecutors generally do not subpoena targets. This is because it would be futile to subpoena a target only to have that witness refuse to testify by invoking the Fifth Amendment. This principle is a corollary to the bedrock trial principle that a defendant has an absolute right not to testify at his own trial. Prosecutors generally avoid trying to force defendants to incriminate themselves via a grand jury. Although news accounts show that many people have been subpoenaed to testify before the grand jury, there are a number of relevant players who conspicuously have not been subpoenaed (as far as we know). Mueller’s investigation has been ongoing since he was appointed special counsel on May 17, 2017. Although news accounts show that many people have been subpoenaed to testify before the grand jury, there are a number of relevant players who conspicuously have not been subpoenaed (as far as we know) — including Roger Stone, Jared Kushner, Donald Trump Jr. and the president himself. These men are all important if not central figures in the Russian investigation. Roger Stone met with a Russian individual who sought $2,000,000 in exchange for derogatory information about Hillary Clinton, yet Stone “forgot” to mention that Russian contact when testifying before the House Intelligence Committee. Donald Trump Jr. was part of the now infamous Trump Tower meeting with Russians who he may have hoped would provide dirt on Hillary Clinton. Jared Kushner is reportedly in Mueller’s investigative sights due to his seeming malleability to foreign influence. So why have none of these men been subpoenaed? Could it be that the evidence uncovered by Mueller has resulted in them ripening into targets of the grand jury’s investigation? Or might there be other tactical considerations driving Mueller’s approach? For example, it’s common practice for prosecutors to investigate from the bottom up, subpoenaing the little fish to appear before the grand jury first as they try to assess the potential criminal conduct of the bigger fish. Indeed, this is the blueprint for virtually all organized crime investigations conducted by the feds. Will Paul Manafort cooperate with Mueller's Russia probe? Here are the scenarios from a prosecutor's perspective. One other pattern has emerged that could provide additional insight. Several of the individuals indicted were not subpoenaed prior to being charged. For example, Paul Manafort (obviously a target) was not subpoenaed to the grand jury; he was indicted. Rick Gates was not subpoenaed to the grand jury; he was indicted. Alex van der Zwaan was not subpoenaed to the grand jury; he was indicted. Of course, this pattern doesn’t prove that Stone, Kushner, Don Jr. or the president are targets of Mueller’s investigation or that they will be indicted. However, it is elucidating and entirely consistent with my experience. Maybe Mueller is simply biding his time.